Motorists were warned to stay off Northern California mountain roads as a major winter storm was expected to bring heavy snowfall, powerful winds and torrential rains at lower elevations Thursday. Meanwhile predictions of widespread showers across the southern end of the state raised concern about flash flooding near wildfire burn scars later in the week. 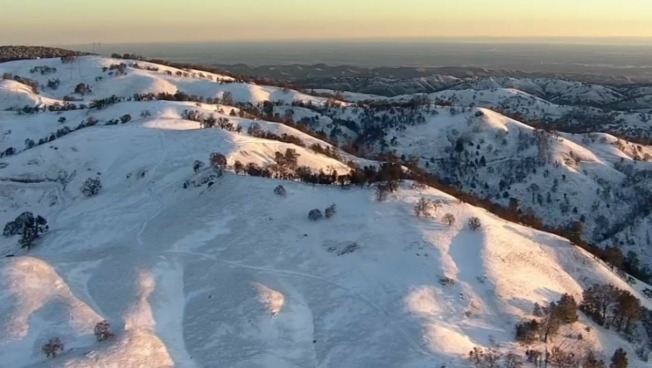 A blizzard warning was issued for parts of the Sierra Nevada, where winds could gust up to 125 mph on the ridges and 40 to 60 mph in some valleys, the National Weather Service said. 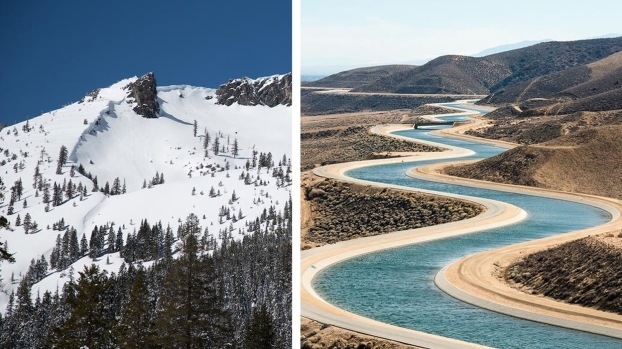 The blizzard would help the snowpack, which is vital to the state's water supply and is only about a quarter its normal size for this time of winter. "Totals will be measured in feet and mountain travel will become dangerous," the National Weather Service tweeted. "Travel is highly discouraged." Northern mountains were expected to receive 3 feet to 5 feet of snow, and up to 7 feet in localized areas. The storm was expected to reach Southern California in the early hours of Friday. 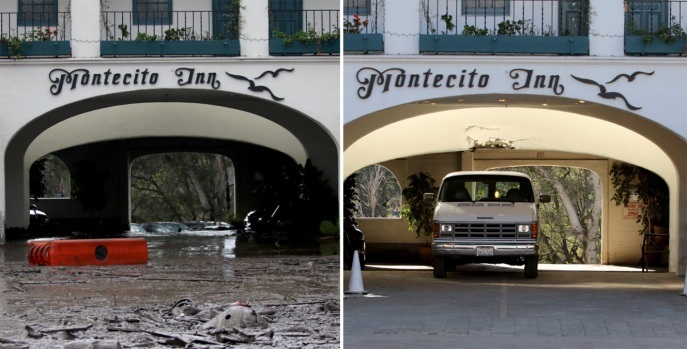 Santa Barbara County issued a recommended evacuation warning for south coast communities including Montecito, where a Jan. 9 storm triggered flash floods that destroyed or damaging hundreds of homes. Twenty-one people were killed and two remain missing. The county is following a rigorous new system of alerts that emphasizes evacuations well in advance of storms rather than suggesting residents can use their discretion. Officials hoped to decide Thursday whether to issue a mandatory evacuation order. People cannot be forced to leave their homes under a mandatory evacuation order, but authorities said they should not be expected to be rescued while the storm event is occurring. 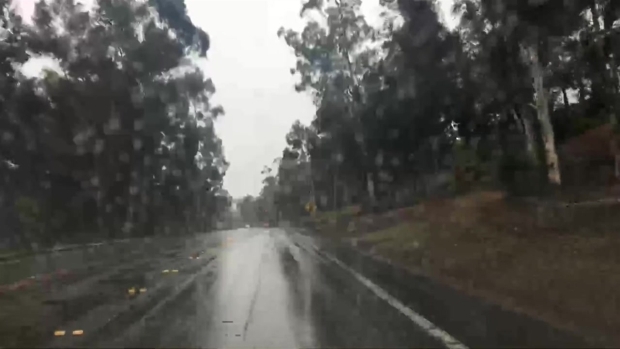 "Our intention is to make sure that you have a plan, that you are prepared, and that you are safe," said Santa Barbara County Sheriff Bill Brown, who warned people not to be lulled into a false sense of security because midweek weather was calm. "Just because the skies are blue right now doesn't mean there isn't a threat." People with mobility issues or those with large animals should get out now, officials said. There were no estimates on how many people may have left the area. Montecito and neighboring communities on the coastal foothills of the Santa Ynez Mountains lie below slopes burned bare last year by the largest wildfire in recorded California history as well as other fires in recent years. Evacuation fatigue for some residents is a factor. Some evacuated multiple times during the wildfires, and then again when the mudslides hit.